USAHA members are the lifeblood of our organization and we are pleased to share with you the names of colleagues who have joined since January. Please join the USAHA executive committee and staff in welcoming these colleagues onto the USAHA team! New members, we are glad to have you and look forward to working with you for the betterment of USAHA and animal agriculture! 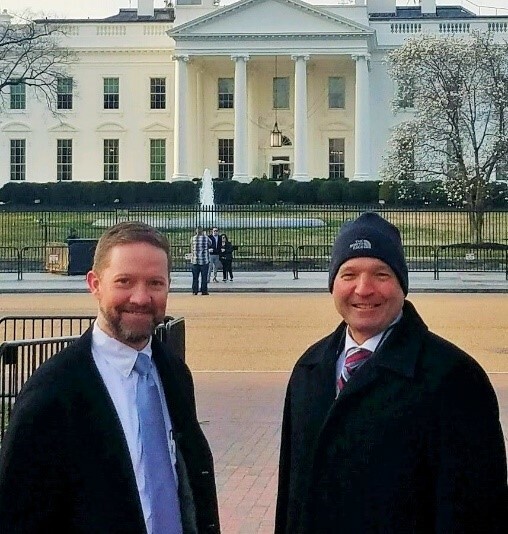 Meeting Chair Dr. Charlie Hatcher and USAHA Executive Director Ben Richey welcomed 30 colleagues from USAHA and AAVLD to the annual Government Relations Committee (GRC) meeting, held in Washington D.C. from March 18 – March 20. The GRC meeting provides an opportunity for focused discussions with key federal agencies and organizations regarding USAHA Resolutions and topics of mutual interest that impact U.S. animal agriculture. Representatives from U.S. Customs and Border Protection and from the Blue Ribbon Study Panel joined these important discussions for the first time and USAHA engaged perennial partners regarding long-standing issues of interest. The USAHA executive team discussed implementation of the 2018 Farm Bill during successful Hill meetings with Undersecretary Ibach and majority/minority congressional staff members. 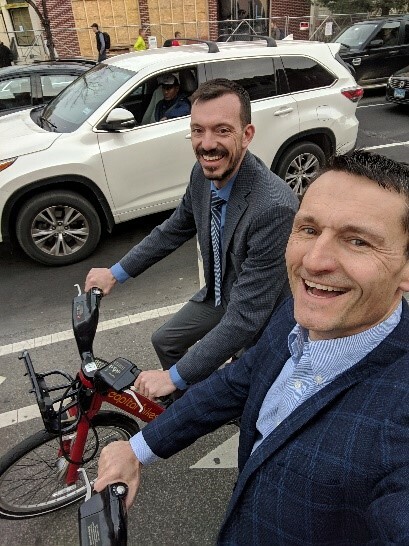 Attending members even took advantage of the capital bikeshare options to get some exercise in, and fortunately there were no injuries sustained thanks to the diligent cycling tuteledge of Dr. Dustin Oedekoven, USAHA 2 nd vice president. Thank you to all who attended this meeting and contributed to the discussions, and a special nod of appreciation goes to USAHA Executive Director Ben Richey for organizing three productive days. The American Association of Veterinary Laboratory Diagnosticians (AAVLD) has been a loyal USAHA partner for nearly 62 years. The USAHA executive committee and staff recently took necessary steps to modernize and execute the MOU that codifies this professional relationship. This will help ensure transparency and accountability for both organizations in the coming years. The process also highlighted the need to convene a task force to review the Annual Meeting format and make recommendations for improvement to the USAHA and AAVLD leadership teams. This task force will likely be convened in the coming months, and feedback from every USAHA member will be important to ensure that the Annual Meeting remains productive for all attendees. Stay tuned for more information as this initiative evolves. Are you craving a USAHA meeting fix but don’t want to leave your back yard to get it? You are in luck because the USAHA district meetings are right around the corner! Don’t forget to register and enjoy the great discussions and company of colleagues and friends. Thank you all for your leadership and the contributions you make to USAHA!